This birthday card is terrific for the father or grandfather in your life. Could be used for a birthday, wedding or first Father's Day. It is a classic and unique card that will not go out of fashion. 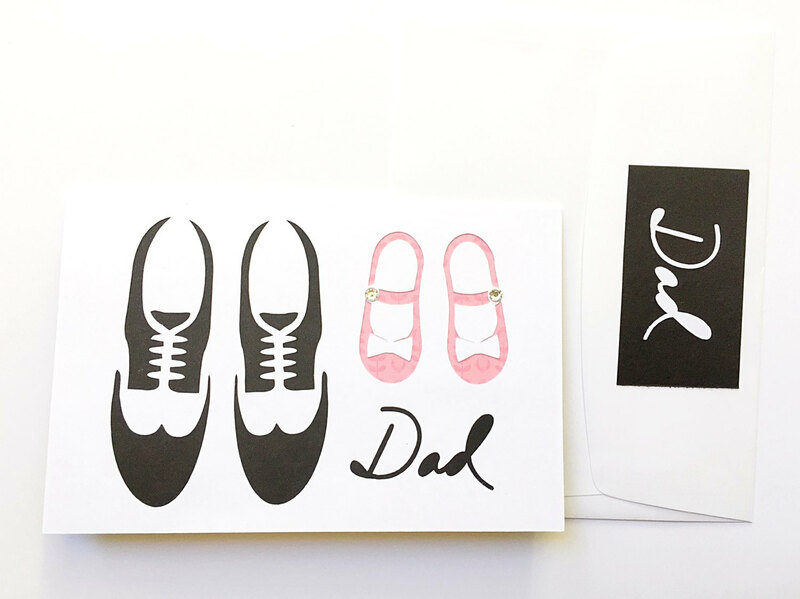 I designed the card with three layers of cardstock in white, black and pink with dad's shoes next to his daughter's. 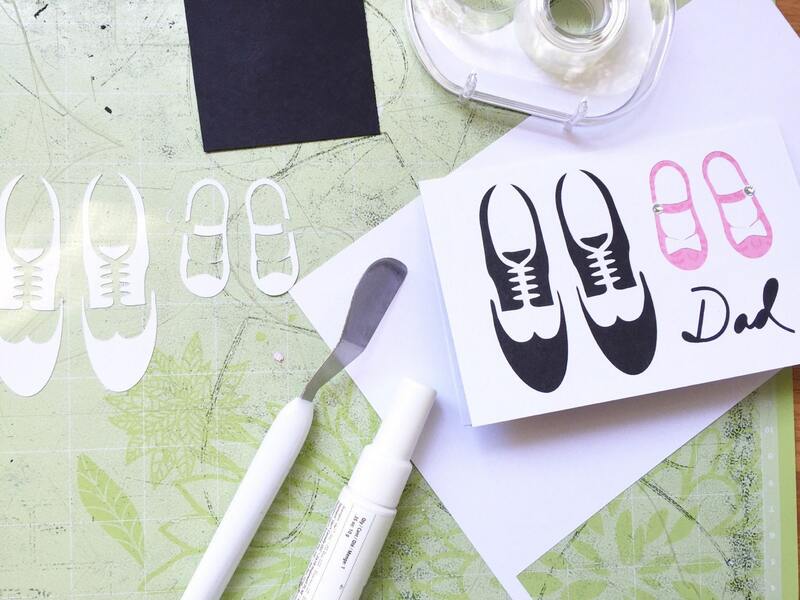 Each layer adds dimension and interest to the card. Great for a first time dad, grandpa or husband. 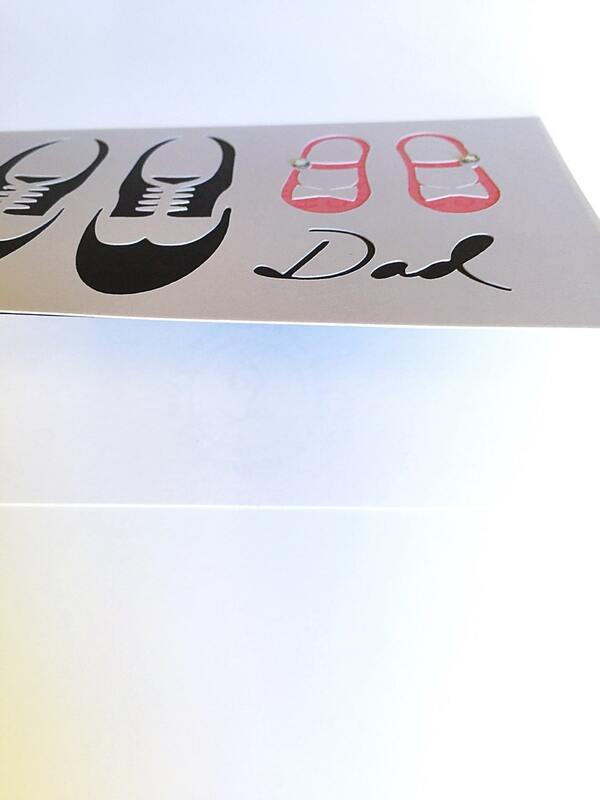 Say how much you love your dad with this special birthday card. "Love this card! Looks absolutely beautiful!" 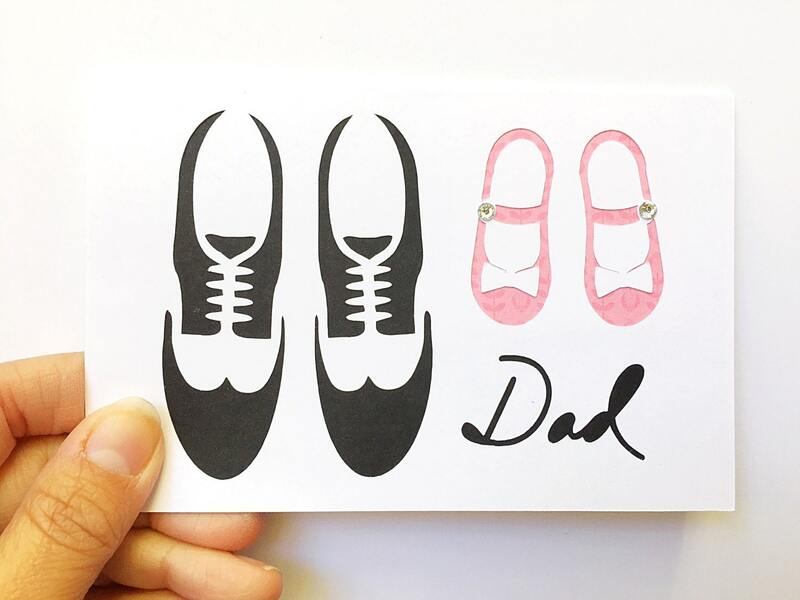 "So excited about this card for my dad! Perfect for my wedding! Exactly as pictured and described and arrived very quickly!" "Adorable!! The bride will give to her Dad on her wedding day!" "This is perfect! I can't wait to give the card to my dad! Thanks for the quick turnaround too"
"My dad just loved it!" 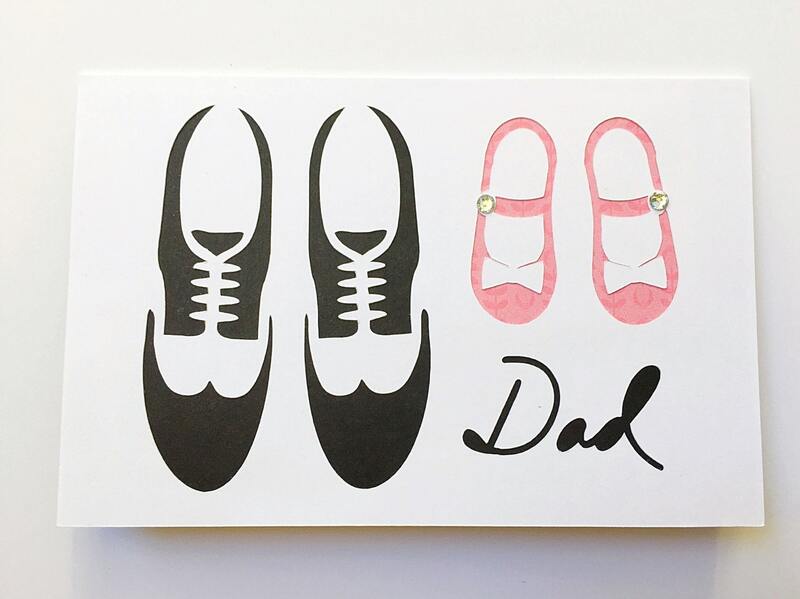 "The card was adorable and she even helped me find a great Father's Day quote that my husband even liked"
My dad loved this card with my day of wedding present for him! He said it reminded him of little dancing shoes. Love this card! Looks absolutely beautiful!